Lightwave Link 1X8 / 8X1 Fiber Optical Switches optimized for a wide range of fiber-optic applications. Design is based on worldwide telecommunications, data communication, system monitoring and component testing requirements. This 1×8 / 8×1 OSW Module has 1 Input Port, 8 Output Ports or 8 Input Ports, 1 Output port. The Module is controlled by a set of electrical connections. Electrical feedback will be provided by the Module indicating which state the optical switch is in. 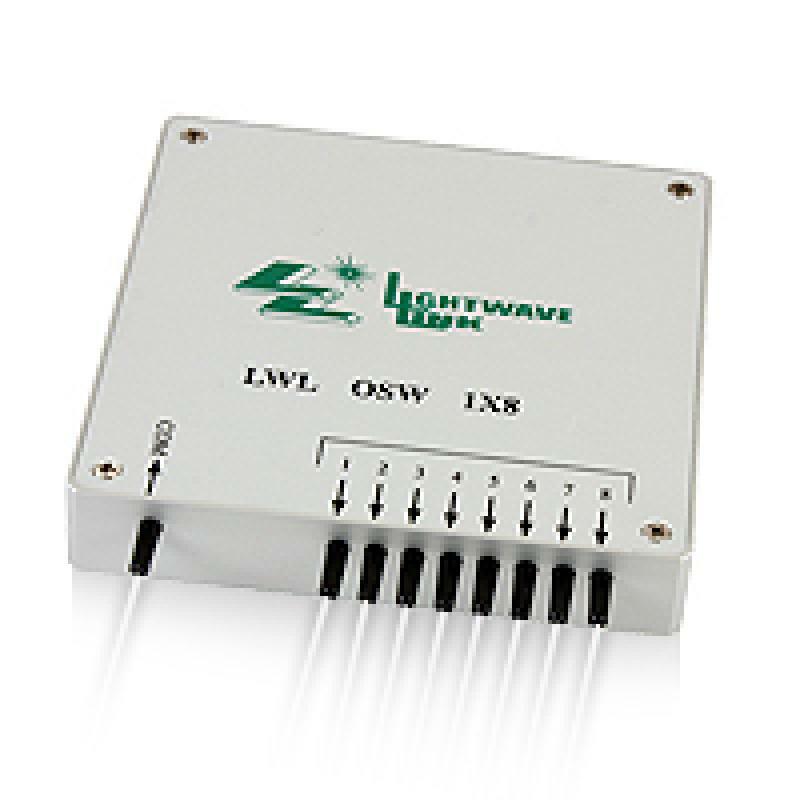 Lightwave Link Inc. 1×8 / 8×1 OSW Module fully complies with RoHS Directive 2002/95/EC (2008/385/EC). 2.A minimum ≧20ms pulse is recommended for latching type of switch.